When I logged into Facebook this morning, “On This Day” presented me with a look back at previous posts that I’d made on July 25th. As it happens, on this day last year, I made a post letting my friends and family know that I’d be heading to the United States in the near future. 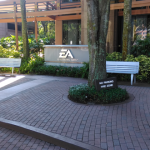 The trip was for an NBA Live 16 community event that was being held at EA Tiburon in Orlando, but as I didn’t have clearance to talk about it openly just yet, I held back on the details and simply posted a teaser photo. I also had to be very coy on the NLSC Podcast, when discussing upcoming playtesting sessions and expressing a desire to be a part of them. 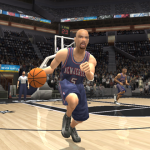 The NBA Live 16 event was one of the best that I’ve ever attended. While the game still had a ways to go – then and now – it was fun to get some early hands-on time with it, and experience the improvements. I also really enjoyed having the opportunity to meet with the developers and provide feedback to them directly. On top of all that, the whole event was extremely well-organised, with every detail taken care of, and maximum time allotted for gaming. Past events were fun and productive, but several years of organising them have definitely given EA Sports’ community managers the opportunity to make them better and better. Since it’s been almost a year since the last one I attended, I thought that I’d reflect a little upon the NBA Live community events that I’ve been a part of. Hopefully, last year’s won’t be the last. Earlier this week, we received some exciting news about upgrades to the franchise modes in NBA 2K17. MyGM and MyLEAGUE will include league expansion, both modes will feature all kinds of customisation options, and a standalone Playoffs mode is also being added to the game. After expressing my frustration at the prospect of a quiet preview season in this week’s Monday Tip-Off, it was definitely satisfying to see the previews for NBA 2K17 get underway with some very welcome news about the franchise modes, which I’ve traditionally been quite interested in. While we’re still yet to learn anything about MyCAREER, 2K Pro-Am, or much else about NBA 2K17, I’m expecting another very solid release as far as game modes are concerned. 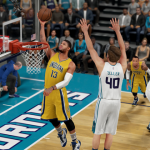 Meanwhile, NBA Live has struggled to provide deep modes since its comeback with NBA Live 14. While LIVE Pro-Am was well-made with a lot of potential for further growth, generally speaking, modes remain a weakness for NBA Live. As I look ahead and hope for improvements in both titles, I can’t help but think about some of the modes that are greatly missed. 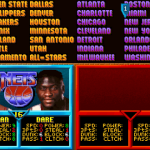 I would suggest that many basketball gamers would welcome the return of these five modes. Monday Tip-Off: Where Is The Preview Season? If you’re a regular listener of the NLSC Podcast, you’ll have heard me describe the current time of year as a very quiet period. After the initial flurry of deals, all of the major free agent signings are over and done with. There’s been Summer League play, of course, but here in the basketball gaming community, we’re anxiously awaiting the start of the preview season. With NBA Live 17 being pushed back to early 2017, we’re obviously not going to hear much about it for some time. NBA 2K17 will be dropping in mid September, but details on that release are similarly scarce. That isn’t anything too out of the ordinary, though. 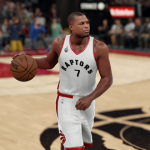 Even when both titles have been released around the same time, Visual Concepts has often waited until almost the last minute before finally revealing the juiciest details on the next NBA 2K game. I would suggest that a lot of the time, the information has been worth waiting for, and the success of the series certainly speaks for itself. At the same time, I miss the days of getting a steady flow of information, and feeling really hyped about the upcoming releases. As you might know if you’ve caught any recent episodes of the NLSC Podcast, I’ve been playing a lot of 2K Pro-Am lately. In fact, I haven’t played much besides 2K Pro-Am in recent weeks, which is unusual as I’m not normally an online gamer. However, as I explained in Monday Tip-Off a few weeks back, I’m really enjoying the social aspect of the mode, and it’s been a fun change of pace from the modes that I usually play. It’s one of the reasons that I’m considering pre-ordering the Legend Edition of NBA 2K17, in order to immediately level up my MyPLAYER. Needless to say, while I am enjoying the mode, it’s not without its problems. A few weeks ago, I discussed some issues with the grading logic that also affect MyCAREER, which I’d definitely like to see fixed. On top of that, there are some other improvements that I’d like to see made to 2K Pro-Am, five of which I’m outlining in this week’s column. So, without any further ado, here are five ideas for NBA 2K17’s Pro-Am, which I feel would greatly benefit the mode. With message boards and social media providing us with a plethora of platforms to speak out on, we gamers are not shy about expressing our opinions on the games we play. It’s a key part of being a gaming community, and it serves an important purpose, given how much contact we now have with video game developers. It’s usually a bit easier to talk at length about the things that we don’t like rather than the things that we do, but in doing so, we are able to provide constructive feedback. While we may be a niche demographic compared to other genres, the basketball gaming community is no different in that regard. The basketball games that we play have come a long way over the past couple of decades, and generally speaking, most of us have at least one release that we enjoy. We do have high expectations however, and when a particular title doesn’t measure up, we’ll certainly express our disappointment. The interesting thing is, although some basketball gamers will indeed put aside a game that they find disappointing, many others do continue to play games despite their frustration with glaring flaws. In short, even when a title is problematic, we often find a way to have fun with it. One of the reasons I’ve always loved the franchise modes in basketball video games is the fact that there’s so much to do. You’re in control of everything, as you play so many roles: coach, GM, and every player on the team. Not having full control is an interesting change of pace however, which is why I’ve also taken an interest in MyCAREER, and more recently, 2K Pro-Am. When I create my MyPLAYER with an eye towards playing those modes, point guard has become my position of choice. It wasn’t always that way, though. When I was a teenager playing basketball in my local league, I was one of the taller kids, so I played centre and power forward. As a result, I do have an appreciation for (and bias towards) post play, and mixing it up in the paint. I also enjoyed taking the occasional three-pointer once I got better at knocking them down, and Michael Jordan is my all-time favourite player, so my early attempts at MyCAREER were with a MyPLAYER who was a shooting guard. So, what changed, and why do I now prefer to run the point instead? Our server move is now complete! While we’re still ironing out a few issues and making sure that everything is working as intended, most of the basics seem to be in order. That means I can get back to spending some more time creating content, and actually talking about basketball video games. I’ve been compiling some ideas for future columns, as well as some videos that I’d like to try to make in the coming weeks. This week, however, a fun idea for a topic came to mind: superstition and basketball gaming. 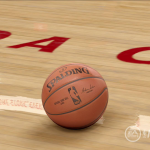 I don’t think of myself as a very superstitious person in general – my uncanny ability to jinx NBA teams aside – but over the years, I’ve developed a few habits when it comes to basketball video games. It may not be entirely accurate to call all of them superstitions, but it does make for a catchy title, so I’m going to run with it anyway. Basically, they’re the little things that I do in the hopes that they’ll improve my chances for success on the virtual hardwood. If you’re tried to visit the NLSC throughout this week, you’ll have found that we’ve been out of service for much of it. If you’re reading this now, however, chances are everything is back to normal and our big server move is finally complete. I was hoping to avoid having this much downtime, but we ran into a few complications along the way. As I’m writing this week’s column, we’re fortunately in the home stretch of the server move, and it won’t be long before it’ll be business as usual. As you can probably imagine, I’m quite relieved! I’ve mentioned before that in running the NLSC for all these years, I’ve learned a thing or two. I’ve gained fascinating insights into the development of basketball video games, and through my duties in the NLSC Forum, I’ve learned about dealing with different types of personalities. Through developing content and implementing new features for the NLSC, I’ve also gained some useful technical skills and knowledge. Undertaking our most recent server move has certainly been a learning experience too, so I thought I’d reflect upon that in this week’s Five. Without any further ado, here are five things that I learned moving the NLSC to a new server. As I write this week’s Monday Tip-Off, we’re still preparing to move to our new server. We’ve encountered a couple of snags, but if all goes well, we’ll be at our new home within the next couple of days, hopefully with as few interruptions as possible. My apologies for the downtime in the Forum and Downloads section in the past twenty-four hours; I had anticipated a quicker move, and did not want to jeopardise the proceedings that were already underway. There will be some further interruptions and downtime as we complete the move, but if you’re reading this, we’re either back up and running temporarily, or the move is complete. In trying to sort out the server move over the weekend, as well as taking care of a couple of other matters, I haven’t had an opportunity to prepare a column or video feature for today. With Monday rapidly drawing to a close here in Australia, I’ve found myself scrambling to find something to write about, while I continue to take care of matters behind the scenes to get the NLSC onto its new hosting. After tossing around a few ideas, one topic came to mind that was quite obvious, given the circumstances. As I’ve said many times before, we take our basketball gaming seriously around these parts. That’s not necessarily a bad thing, but as with any gaming community, it can lead to some attitudes that aren’t very constructive or open-minded. There are many strong opinions in the basketball gaming community, but the most important thing at the end of the day is that we’re enjoying playing these games that we’re so passionate about. We shouldn’t get caught up telling each other how to have fun, or lecture each other about the supposed “correct” way to play. 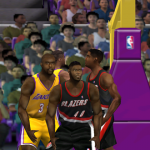 There are many different ways to enjoy NBA Live and NBA 2K, after all. At the same time, there are some strange habits and attitudes in the basketball gaming community. Again, everyone is entitled to their opinion and preferences, but some habits are puzzling, and certain attitudes myopic. 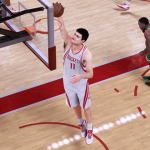 In this week’s Friday Five, I’m taking a look at a range of basketball gaming habits that are peculiar for one reason or another. I’m not saying they’re all wrong, but some are definitely a little odd. Without any further ado, let’s tip things off!